Search Results for "surfing slow motion"
4k, Young overweight woman with laptop working from home. Slow motion. 4k, Portrait of a young attractive woman working on her laptop from home. Slow motion. 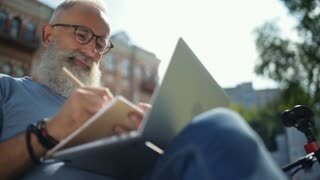 4k, Happy young man using computer in the park. Slow motion. 4K Happy attractive plus size woman working on computer in the kitchen at home. Slow motion. 4k, Young overweight man with laptop working from home. Slow motion. 4k, A young woman browsing the internet on her digital tablet from home. Slow motion close up. BIARRITZ, FRANCE on Sept 27th: Slow motion shot of female surfer in Biarritz, France on Sept 27th, 2018. Biarritz is a city on the Bay of Biscay, and a major surfing destination. Rolling ocean waves breaking on shore in twilight and small silhouettes of people surfing and swimming at distance against pink sky on background. Bali, Indonesia. Slow motion. Camera stays still. Figure of unrecognizable surfer holding surfboard and coming out of ocean to shore against waves, sunset sky and setting sun on background. Surfing in summer evening. Bali, Indonesia. Slow motion. Young man enjoying the surfing in Waves. Slow motion.